Urban Planning for Murder. Murder Fact Event. Edited and discussed by Nick Axel. 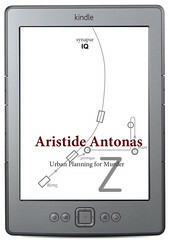 In this title, Aristide Antonas approaches the city through its exceptional moments —investigating urbanity through alegal, unaccounted incidents that take place in various locations of a city—. It does not constitute an attempt to highlight the accidental event, as if it would emerge from a neutral backdrop of urban uniformity. It does not seek the exception by renouncing the rule, but instead organizes the exception as a function of the rule. We should not then see the neutrality of urban scenery as a symptom demonstrated by the city while its civil character supposedly becomes more and more inauthentic; neutrality is the grand construct of urbanity. This construct is here conceived as an urgency to forget a murder that finds its shape in common protocols. With this essay, Antonas immediately notes the specific similarity that links the civic, technical perspective of an abstract governance of the infrastructure with Badiou’s polemic and traditionally political perspective. In a first version of this text, written in Greek some years ago, Aristide Antonas tried to portrait Thessaloniki, as a city where in some emblematic cases this urban apparatus of “receiving murders” did not simply function as described at the exhibition. A “reception of murder” seemed of course to be a recent part of the city’s modern urban culture, but this performing concept served in some cases as a hypocritical cover to bypass, or in some cases circumvent the consequences of grand malfunctions of this city’s murder infrastructure. This essay is the continuation of the research started with Weak Monuments. The Synapse Series are edited by César Reyes Nájera for dpr-barcelona.